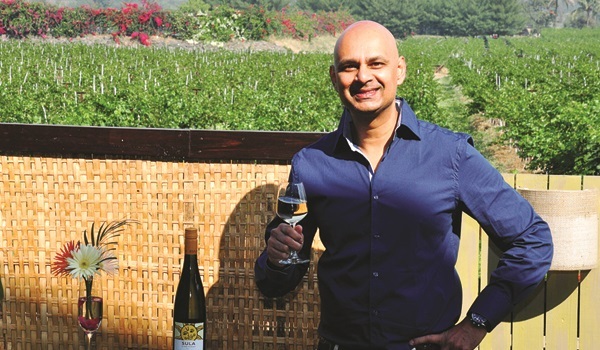 What the Taj Mahal is to Agra, Sula vineyards is to Nashik. Or so we thought, as we came to the end of our three-hour highway drive from Mumbai, and entered the outskirts of what seemed to be an unprepossessing, largely industrial tier-II city. Yet in the same way that your first glimpse of Shah Jahana��s a�?monument to lovea�� makes your trek to Agra worth the while, as soon as you enter the lush vineyards, you understand why Nashik has become something of a pilgrimage site for wine lovers from India and beyond. recently-launched a�?sustainabilitya�� tour, which introduces you to Sulaa��s eco-friendly activities a�� from solar power, rainwater harvesting and vermi-composting, and the all new grape seed oil project. The tour concludes at the tasting rooms, where you can relax on the expansive terrace, soaking up the incredible view across the vineyards, out towards the lake. First opened in 2005, the space was relaunched in December, fully redesigned by Florence Tarbouriech, one third of the French trio behind the La Plage restaurant. a�?Ia��ve added a womana��s touch,a�? she jokes, and the homely feel is evident, with artwork sourced from a recent trip to Andalucia, eclectic lights perched on mismatched furniture, and books and ornaments jostling for space on upcycled bookshelves. For more of Tarbouriecha��s a�?imperfection makes perfectiona�� design philosophy, head to Soleil by La Plage, a short hop away from the tasting rooms. There, the restaurant that found fame in Goa has a new avatar. a�?This is a project with some of my greatest friends. It feels fitting to have a French restaurant in a vineyard,a�? says Sula founder & CEO Rajeev Samant. a�?Wea��ve adapted the menu to provide some Indian food, such as our seasonal thali, with vegetables from our two-acre organic garden,a�? adds chef Morgan. Fans of French food need not worry, though, as La Plague classics like chef Morgana��s chicken liver pate (his mothera��s recipe, and the first dish he learned to cook), still find space on the menu. Beef will be introduced from March onwards, and free range chickens are already sourced from the local area, with seafood coming in from Mumbai. For now, wea��d recommend Poulet Farci a�� stuffed and roasted chicken soaked in thyme juice and served with creamy potato gratin and steamed vegetables. Dona��t leave without sampling the Tarte Aux Pommes a�� an apple tart that melts in your mouth, well complemented by salted butter caramel sauce. The writer was invited by Sula.